1.6mm (0.06") thick bison leather: Durable and robust, with distinctive antique finish. Robust two-way zip fastener, base studs and lower construction. 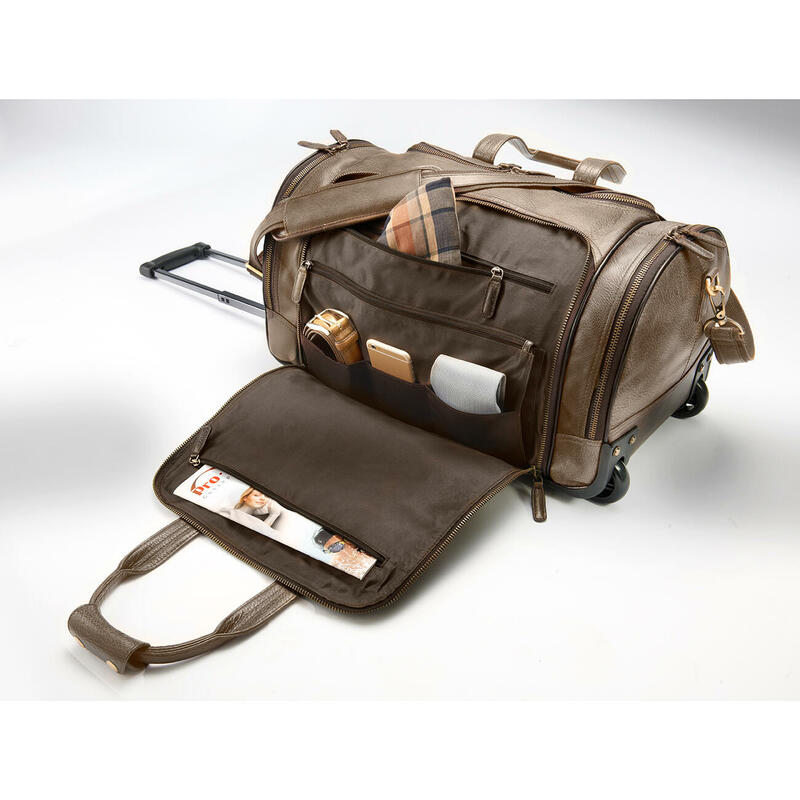 As classic travel bag or with telescope handle and inline rollers. Indestructible bison leather. Huge capacity. Can be conveniently packed sideways. Can be opened right down to its base thanks to three-sided zipped flap. 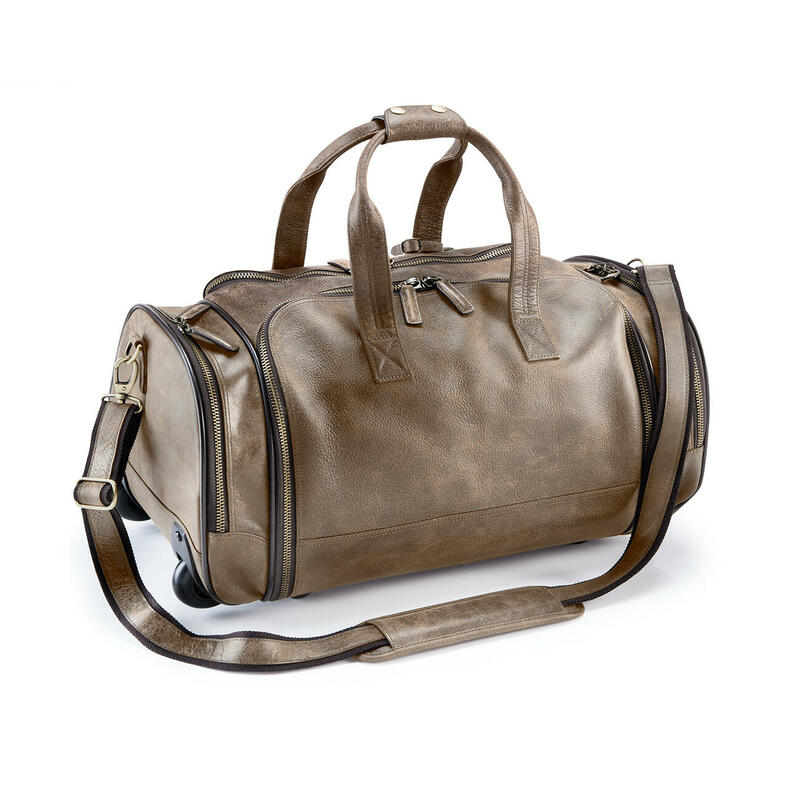 As a travel bag or suitcase, with many practical extra pockets. 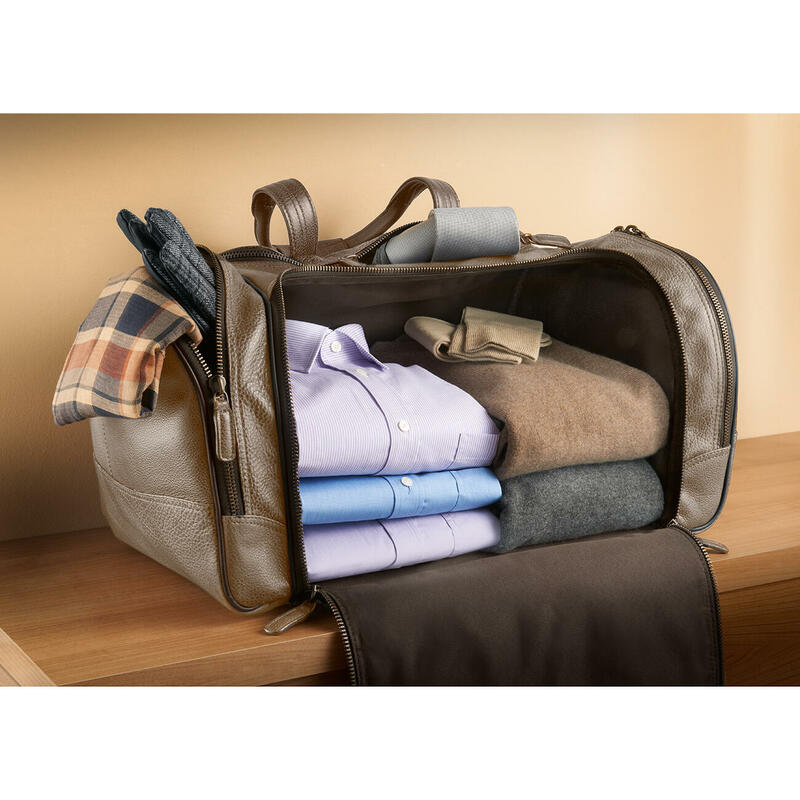 Barely no other elegant leather bag is as easy to pack as this one: Trousers, two stacks of shirts/jumpers … neatly placed like in the wardrobe. No dividers get in the way – you can use the full storage space. The sturdy base keeps everything in place. Your clothes remain impeccable. Even the seats of the most expensive motorcycles are upholstered with this type of strong leather. The reason: The thick-skinned, strikingly-grained leather from the mighty wild animals is naturally extremely hard-wearing – and only gains in character and beauty with use. In the second lengthwise compartment, three large zipped pockets fit pyjamas, sportswear and underwear, and three slit pockets for your socks. Wash bag and slippers go in the front pockets. Strong stabilising bars make the bag sturdy. The heavy-duty handles and detachable shoulder strap can take even heavy loads. Size 31 x 30 x 55cm (12.2" x 11.8" x 21.7"). Volume 51.15 litres. Weight as travel bag: 2.3kg (5 lbs), as suitcase 3.6kg (7.9 lbs). Durable, red-brown cotton-canvas lining.